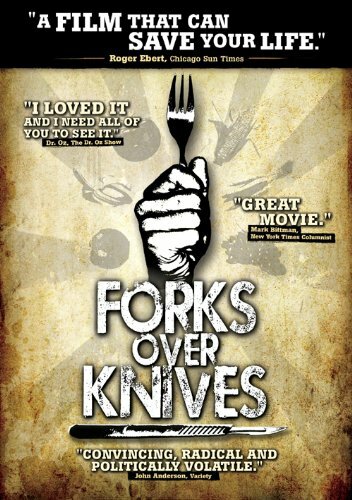 Probably you have noticed that many times I have mentioned “Forks over Knives” documentary. It is probably one of the most controversial vegan documentaries. 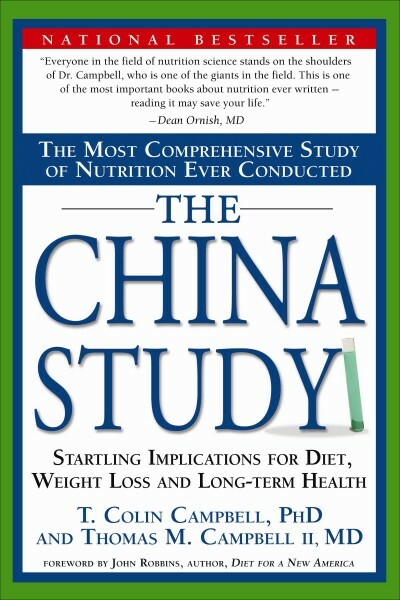 There are still big debates about “The China Study” on which “Forks over Knives” is based. T. Colin Campbell dedicated his life to learning what are the effects of nutrition on long-term health. He created various studies and helped many people directly by changing their diet. You can see some of these individuals in the documentary. Some of them are said to be prepared to die, but when T. Colin Campbell changed their diet, they are still among us. Who would believe that changing a diet can make such a significant impact on a body? Forks over Knives is based on this book. Book is about the correlation between chronic illnesses and consumption of animal protein. The China Study relies on the 20 years study in the 1980s in China. The study was about lifestyle, diet, and disease of 6500 people in 65 rural Chinese counties. Caldwell Esselstyn also made a study of his patients where he changed their diet to plant based diet. Later he released a book: Prevent and Reverse Heart Disease. In that time meat industry was strong, and these kinds of studies and proves were not good for them. Both, Caldwell Esselstyn and T. Colin Campbell had problems and were laugh at because not many people believed to what they have proven. Back then the world was starting to eat more and more meat. Now in 2017 people who are packing massive amounts of animal proteins in fast food restaurants already have a recognized pattern. Big people with fat asses, large arms and legs who can’t run 10 meters and if they must run, they will probably die. Maybe this sentence is harsh, but that is a reality. If you go to fast food restaurant, just watch what kind of people are coming in and out. You will recognize the pattern. For this simple test, you don’t need 20 years to study. 1-2 hours is enough and already you will see the pattern. Not Forks over Knives or The China Study were debunked. There is one person who pays lots of time to try and debunk it, but her expertise is nowhere near to the Doctor T. Colin Campbell who dedicated his life to studying how nutrition affects the human body in the long term. Denise Minger debunked or at least let say she try o debunk it. But if you read what she write and how she represents data then you see that she have one agenda. To discredit a 20 years old study. What are her goals to write so many texts that of course I didn’t read all, but I did read the majority of the part to understand what she wants to accomplish. Her goal was self-promotion, and she did a good job, probably because she take a time and write all that text about how bad The China Study is. You can see the China Study Debunking Here. Sadly we will never find the true behind this debunking because T. Colin Campbell answered her and explained all the problems she found in The China Study. But Denise Minger is no longer public figure; she did not update her blog since 2012, but her book Death by Food Pyramid is available since January 1, 2014, on Amazon. So if you wish to read what an ordinary person have to write about food, nutrition, and health grab the book and read it. Me, I don’t have time to read all the books. I know what is true and what is right. The problem with Denise Minger is that she is changing her diet too much. She started as vegetarian, then vegan, then raw foodist, then paleo, then meat and god knows what she eats nowadays. It is evident she didn’t find the perfect diet that she can stick with it for a longer period. 1. Eat real food?no fake meats, processed soy products, vegan junk food, etc. I can agree with this, but there is nothing wrong with tofu unless soybeans come from USA which is most probably GMO. 2. Avoid high omega-6 vegetable oils and take a vegan DHA supplement. I don’t like supplements. Why supplement when you can easy get it with food. There are so many various food that you can eat and get all the stuff you need. I don’t know why she says Omega 6 Fatty Acids are bad because they are not, in moderate consumption they are healthy just like Omega 3 fatty acids. And NO, you don’t need fish for Omega 3 Fatty Acids because Flaxseed Oil has almost double amount of Omega 3 than Fish Oil. 3. Supplement with vitamin K2. No comment, probably she promotes this supplement because of she sales that supplement on her blog. 4. Supplement with a vegan form of vitamin D3. No comment also. Like I m reading a pharmaceutic store. You need this; you need that, why then even eat, why not pump myself with all that supplemental crap? 5. Enhance your beta-carotene absorption and conversion. This sounds like it is just typed here to be here, don’t know what this means. 6. Properly prepare any grains, legumes, or nuts you eat. Same as above. I can eat grains, legumes, and nuts in various ways. Each different preparation brings different nutritions from this super food. 7. Maximize iron absorption using vitamin-C-rich foods. Another sentence just to fill space. 8. Keep your thyroid in good shape. I agree with this. Vitamin B12 is gone from the earth. Don’t get wrong you will get natural Vitamin B12 if you eat meat. No, you will get same synthetic crap because pigs, cows, and other animals are supplemented with this and other vitamins. Probably that is the reason why meat is extremely unhealthy nowadays than it was several decades ago. Why in the world would I go gluten free? I have no problem with gluten. Of course, if you have those rare diseases then you should drop gluten, but chances for that are so small that you don’t need to bother. 11. Eat some fermented foods. Yes, this brings various nutritional benefits. OMG, I really hope people didn’t follow your advice because this is another poison that people can put in their mouth. 13. Consider adding oysters or other non-sentient bivalves to your diet. Sure, preferably try to get those from Japan, those that are near Fukushima, those glove in the dark, maybe your skin will then glow in the dark too. As you see, she advocates chemicals to be added to your food. Now imagine a person who is on raw food and eats so many supplements. Of course, this brings problems. Reason to eat plant based food is to get all the needed nutritious from the food and not to supplement everything. I hope you will watch Forks Over Knives and see the correlation between the food you eat and health.